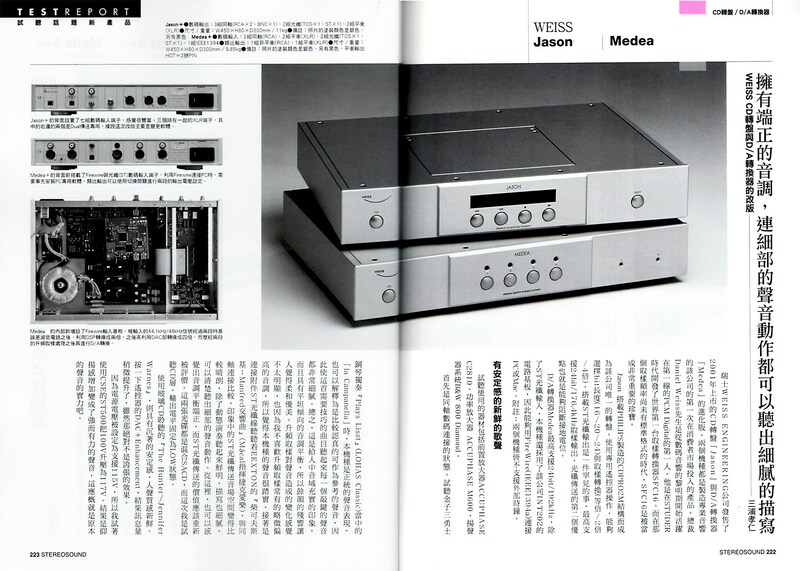 Japan audiophile magazine Stereo Sound 177 reviewed Jason/Medea-FW combo on December 2010, before we launched the OP1-BP module upgrade on CES 2011. However the review unit includes Firewire connection and AT&T connection. The latest Medea+OP1-BP includes ALL NEW 32BIT DAC conversion, and 8pc of Weiss latest OP1-BP gain modules.